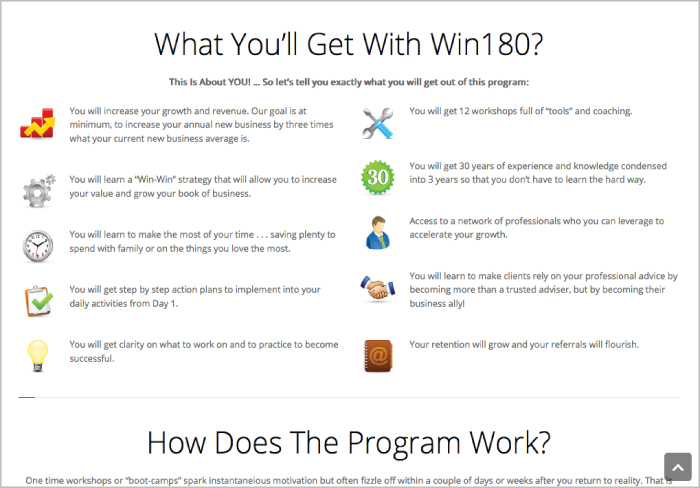 client needs: Elevation180’s main priority was to increase sales opportunities coming from their website. 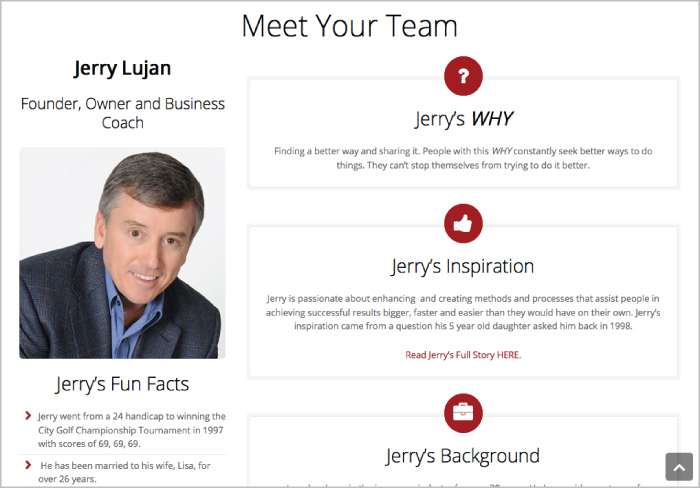 They also needed a website that was mobile responsive, had a password protected area for client-only worksheets, and integrated email marketing. 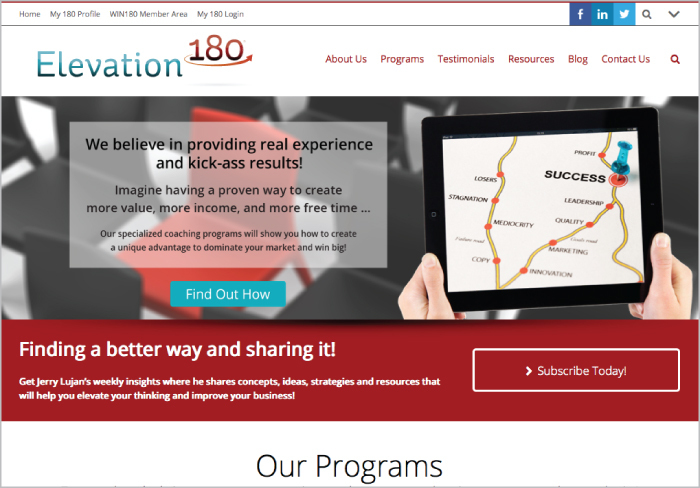 solution: We worked closely with two leaders of the Elevation180 sales and marketing team to identify their precise target market, create multiple opportunities for lead generation and automated the promotion of their content. 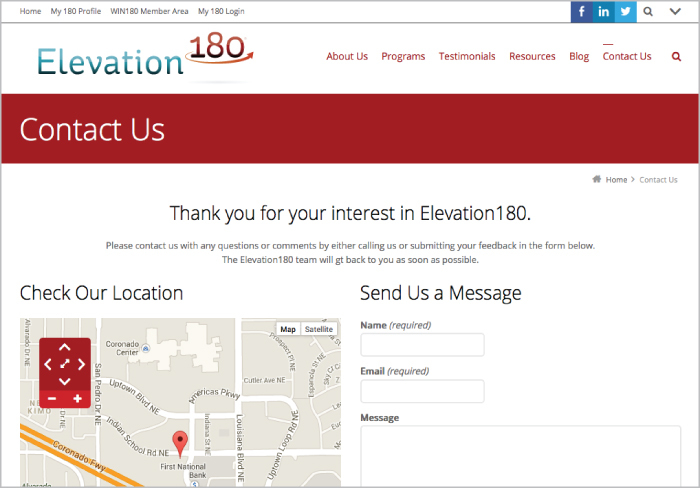 We also worked with the Elevation180 sales and marketing team to simplify the emotional benefits of their product offerings. Clean, user-centric website design with easy to use search and navigation features. Special offers (Ebook and Quiz) that generate leads by capturing email addresses and visitor needs. Call-to-action graphics designed to optimize clicks. Automated email marketing integrated with special offers/calls-to-actions and weekly content creation. Efficient website architecture and mobile responsive design optimized for smartphones, tablets and laptops/desktops. Clear display of the emotional benefits of their product offerings.